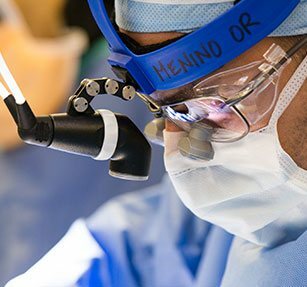 BMC’s Orthopedic Surgery team is committed to working with you to evaluate and care for your patients. Whether for diagnostics, treatment, a single consultation, second opinion or ongoing follow up, our team of 11 board-certified orthopedic surgeons will keep you fully informed of the patient's treatment plan and coordinate long-term management if needed. If you would like to discuss a particular patient’s condition, please call and speak to one of our providers. We welcome your calls, and our office will do their utmost to accommodate your patients in a timely manner. Orthopedic and trauma surgeons and emergency room physicians can refer patients by calling 617.414.6295 or toll-free 877.303.1234, 24 hours a day, 7 days a week.